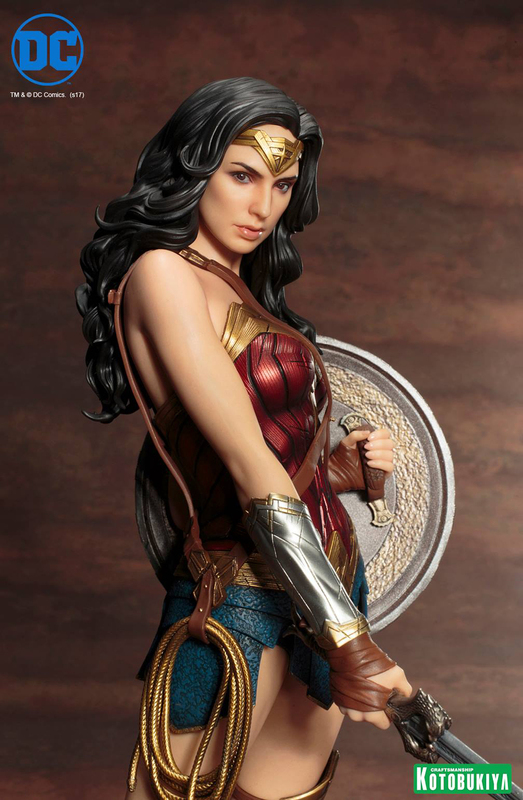 Kotobukiya nails Gal Gadot’s look with this sixth-scale statue of the actress as Wonder Woman. 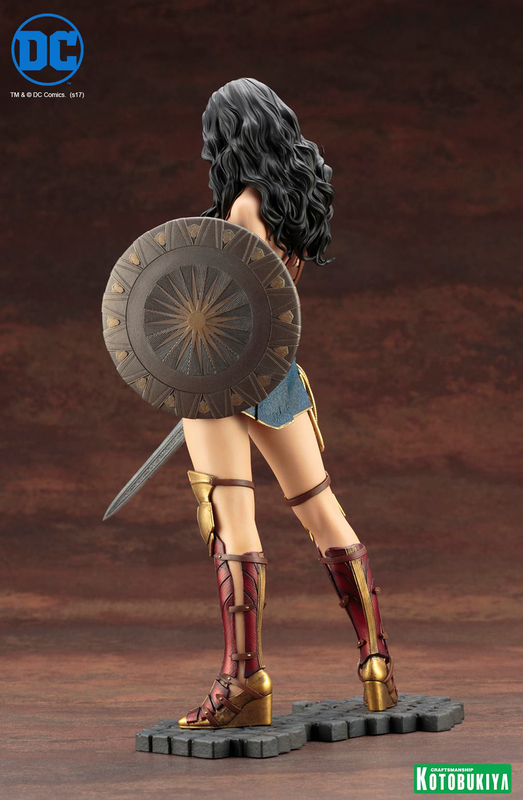 Her hair, armor and weapons look equally awesome, and the different textures make the statue look more realistic. They forgot to include her armlets though. 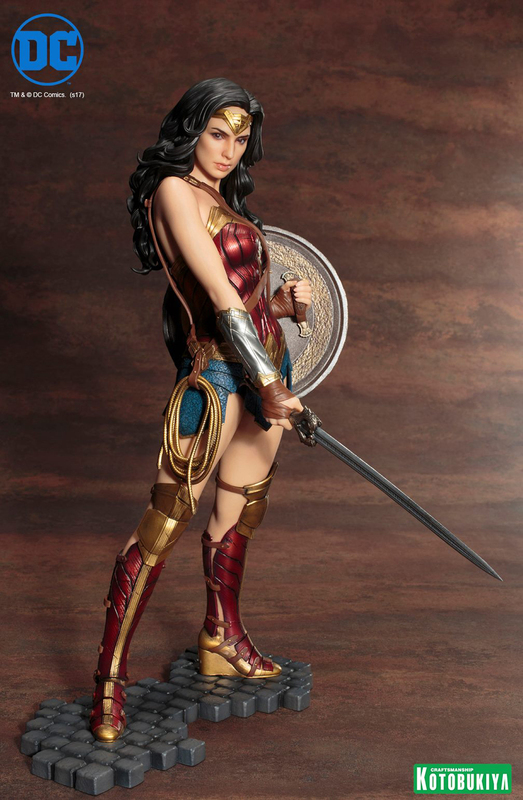 You can pre-order the statue for $140 (USD). 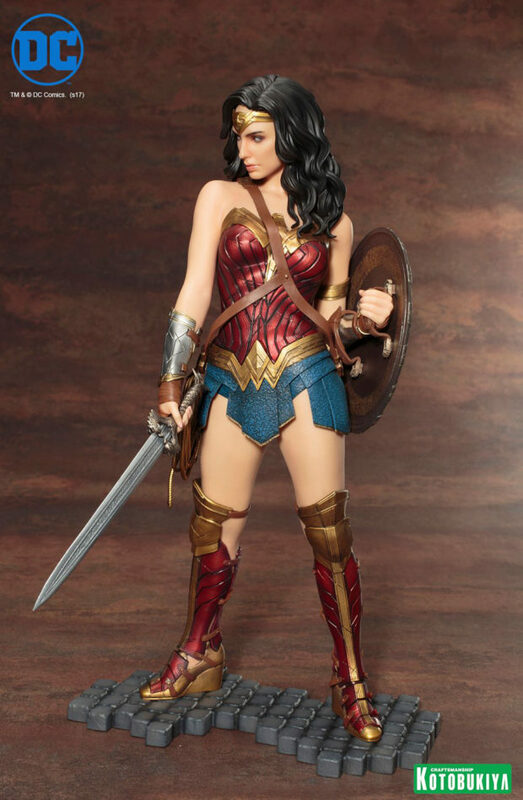 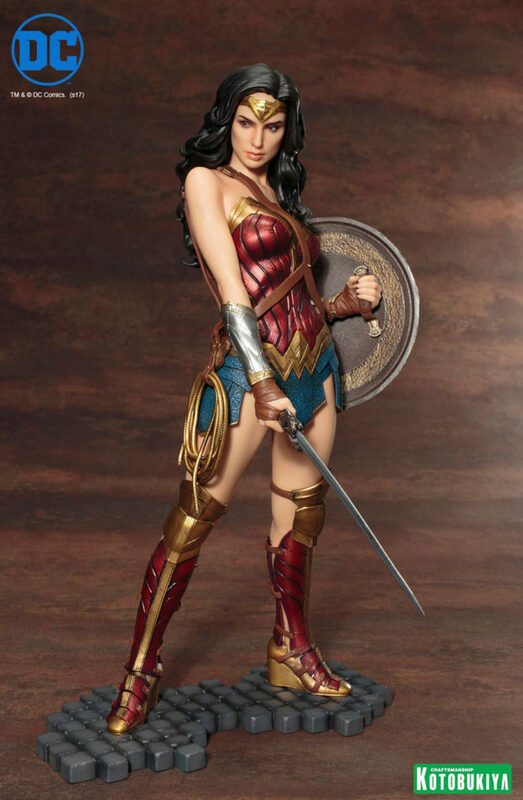 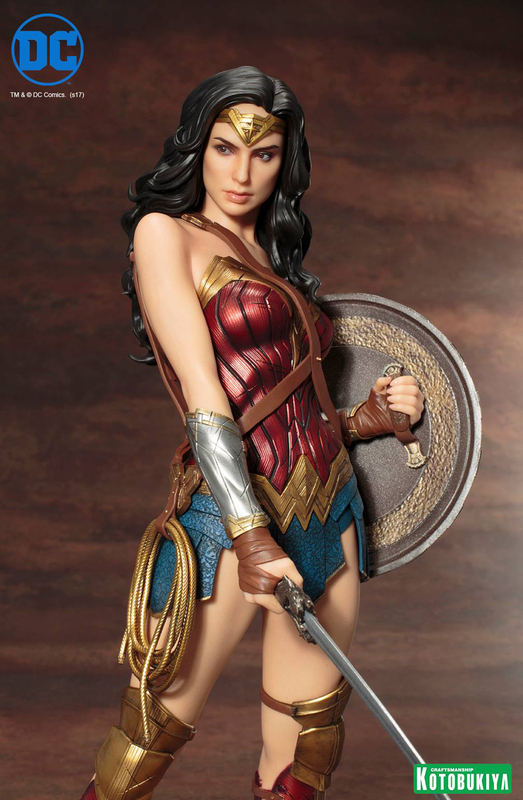 Her base seems to imply that Kotobukiya will release other ARTFX statues related to the Wonder Woman film.